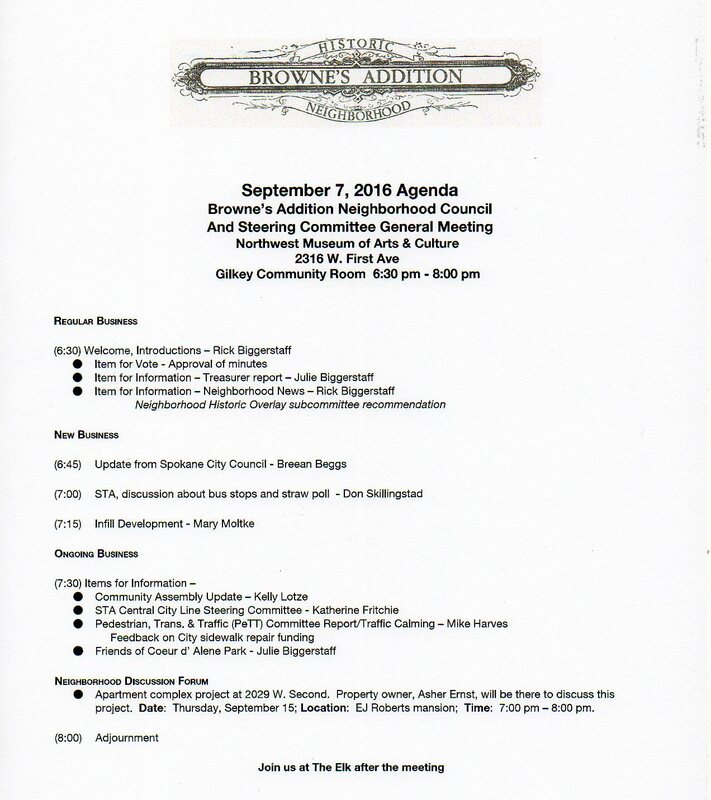 It's time for the September 2016 General Meeting of your Neighborhood Council. Tonight, we will meet Councilman Breean Beggs for an update on what the City Council has been working on, and discuss bus stop designs for the proposed Central City Line through the neighborhood. 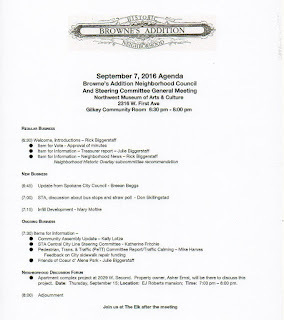 That, and Mary Moltke will present information on Infill Development. That's tonight, downstairs in the Northwest Museum of Arts and Culture. Remember, we start promptly at 6:30pm, and we'll have you out of there by 8.